Happy Birthday – The Minor reaches 90!! Both of these very interesting quotes were reported in the 23rd May 1928 edition of The Motor Trader and were directly attributed to William Morris, although only one of those statements is believable! On the basis of that Motor Trader report it’s fair to say that the Morris Minor can now officially be declared 90! 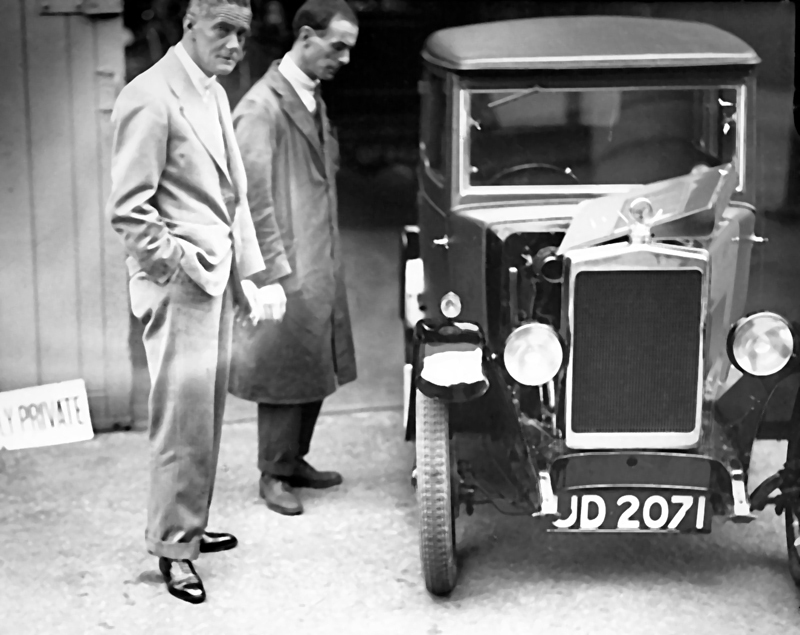 The photo is from the Jennifer Parson’s collection and shows her father, Harold Taylor alongside William Morris with Minor Fabric Saloon prototype UD 2071 at that very first, late April-early May 1928 photo-shoot.